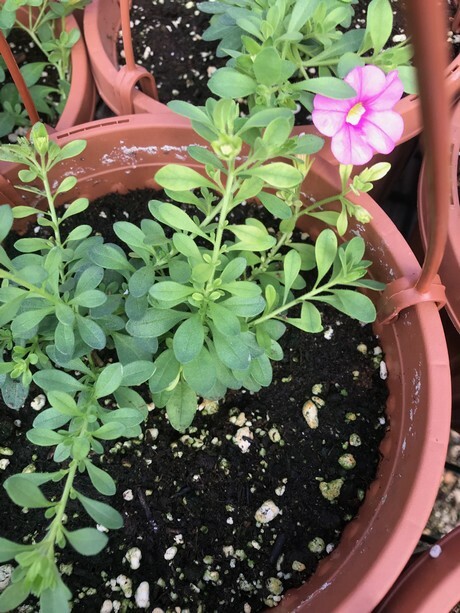 "Keep an eye on substrate pH for iron inefficient crop species"
Popular species such as petunia, calibrachoa, gerbera, snapdragon, pansy, nemesia, bacopa, verbena, vinca, and dahlia are inefficient in taking up iron (Fe) at high pH. The optimal substrate pH value for these crops is between 5.8 and 6.2. At substrate pH values above this range, iron and other micronutrient elements such as manganese (Mn) become unavailable to these sensitive species. Nutritional disorders can develop rapidly under such conditions. The most common symptom is yellowing (chlorosis) which occurs when the substrate pH values exceed 6.2, which limits iron (Fe) absorption and leads to deficiency symptoms. The most common specific symptom associated with iron deficiency is upper leaf interveinal chlorosis (yellowing between leaf veins). When iron deficiency is severe, interveinal chlorosis intensifies and leaves become white or bleached. Monitoring of substrate pH can help to determine if symptoms are due to insufficient iron uptake; therefore, conducting regular testing of media pH is vital, especially for sensitive species. Iron deficiency symptoms can typically be corrected with an application of iron chelate. If substrate pH is just beginning to increase, consider switching to an acidic fertilizer. Ammoniacal nitrogen (NH3-) based fertilizers are naturally acidic and plant nitrogen uptake can help lower the substrate pH over a week or two. In general, checking plants weekly, including the health of the roots, is key to managing greenhouse nutrient problems. 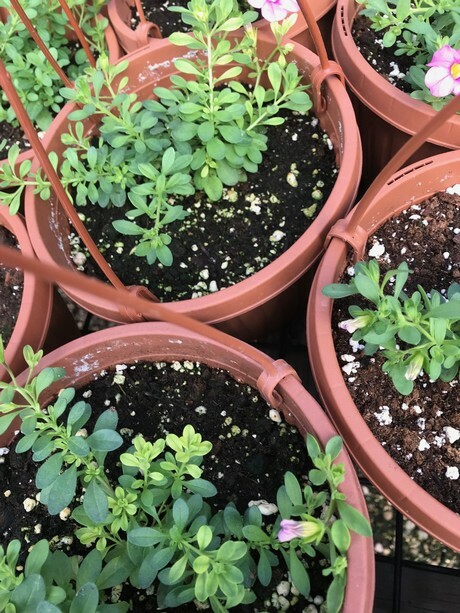 Monitoring roots is important because plants may also have a compromised root system due to Pythium, fungus gnat infestation, or water-logged and poorly drained media. Symptoms of nutrient deficiency may be seen in plants with compromised root systems even when the pH of the growing medium is in the optimum range.